Dimensions 0.50 by 8 by 11.50 in. 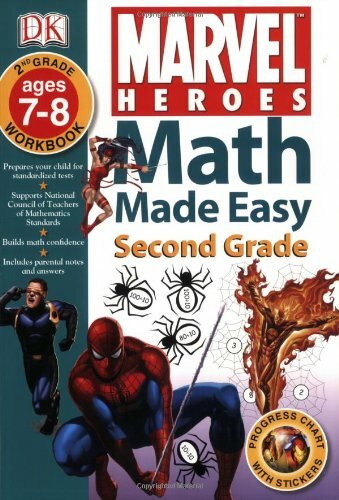 Amazon.com description: Product Description: Illustrated with kids' favorite characters from Marvel and DC Comics, each new Math Made Easy workbook is filled with exercises for home learning that feature problems and practice questions. Math has never been as exciting as it is with Superman, Spider-Man, Batman, and Wolverine! About: Illustrated with kids' favorite characters from Marvel and DC Comics, each new Math Made Easy workbook is filled with exercises for home learning that feature problems and practice questions.